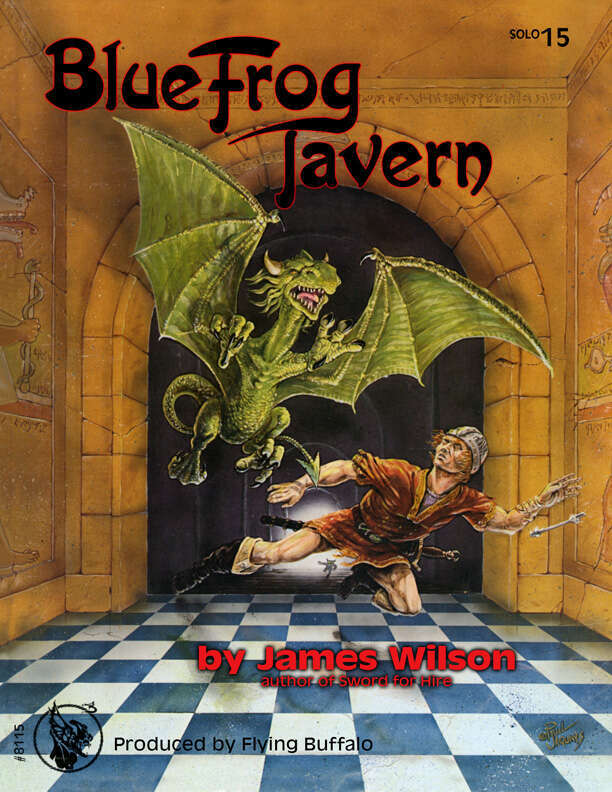 Blue Frog Tavern...a solitaire adventure for Tunnels & Trolls. You will need the Tunnels & Trolls rules to play. At the end of the day you come upon a small country tavern near a dark forest; over the door is hung a wooden sign with a blue frog painted on it. You enter and ask the bar man about the local gossip. He tells you that the local order of Red Robed Priests have been swarming over the countryside, questioning strangers. The accursed Priests have been causing trouble, and their actions have hurt the tavern business. The barman also tells you the new tavern owner is looking for a sword for hire.